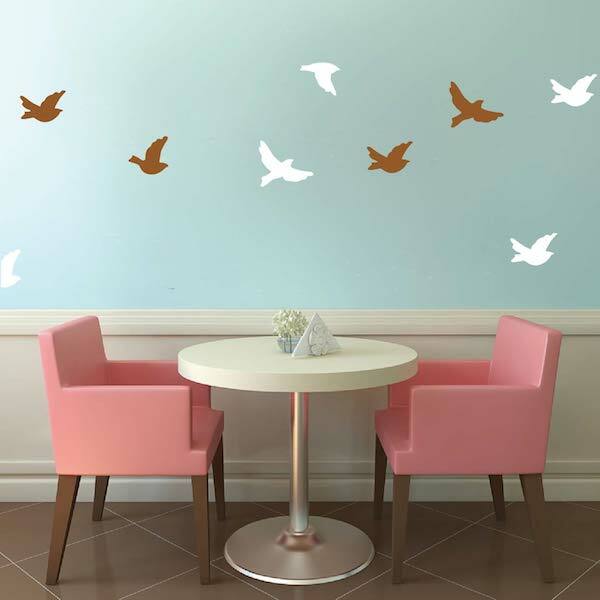 Make your inside wall feel like an outdoor paradise with the Flying Birds Wall Decals! 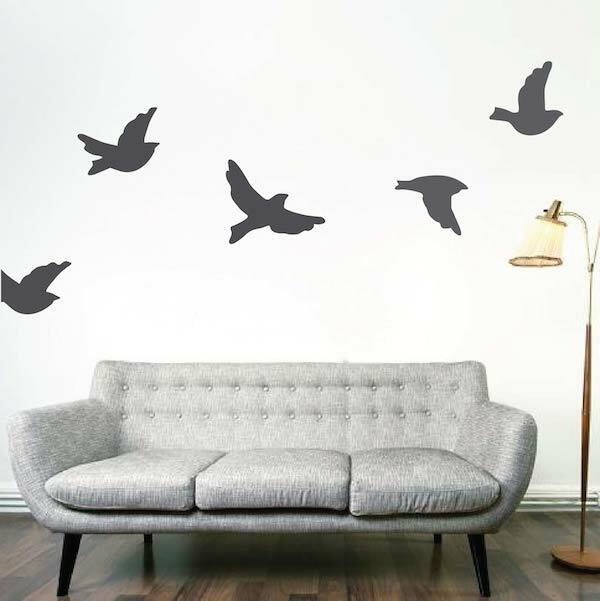 Why waste time, money, and energy with painting when the Flying Birds Wall Decals have saved you all of that trouble? Designs have many options for orientation that give you the flexibility to change and reposition to your taste if necessary. Try to get a painter to do that! 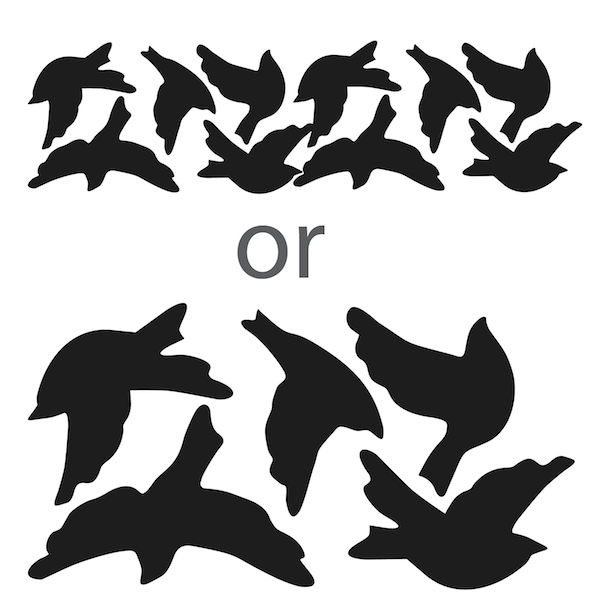 Choose either 5 big birds or 10 smaller birds, flying left or flying right. 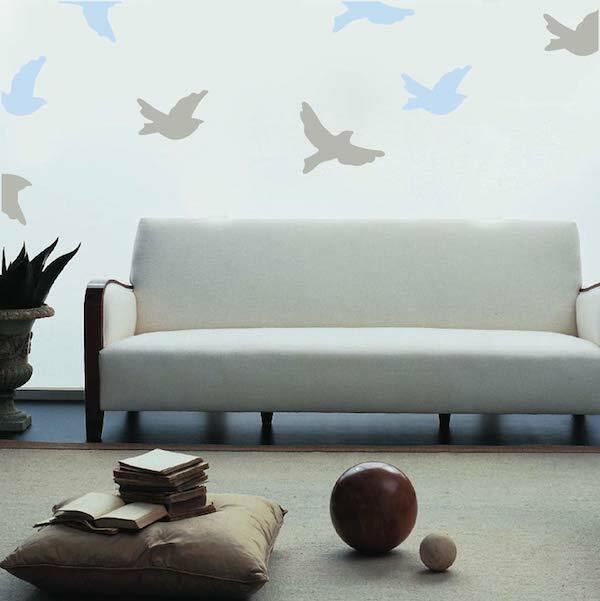 We have birch tree and birds decal behind bed but needed to change out the bird color. Goes perfect with trees and decor, great color. Easy to put up. I applied a slightly ascending row of 10 small flying birds across 2 interior glass sliders at kids' eye level. They look great in chocolate on both sides (matching the door trim) - an artsy & fun way to protect both kids & adults from crashing into closed doors! Easy to apply. Great value too! Far better than other brand decals printed only on one side of plastic with visible "clear" outline. These look so amazing on a huge blank wall we have.....so so happy with them!!! I placed the birds on my large front window to detract birds flying into the glass They really worked--no more dead or injured birds. Super easy to put these on the wall. Look great in "penny" combined with the lollipop tree in chocolate on ivory walls. Just beautiful!